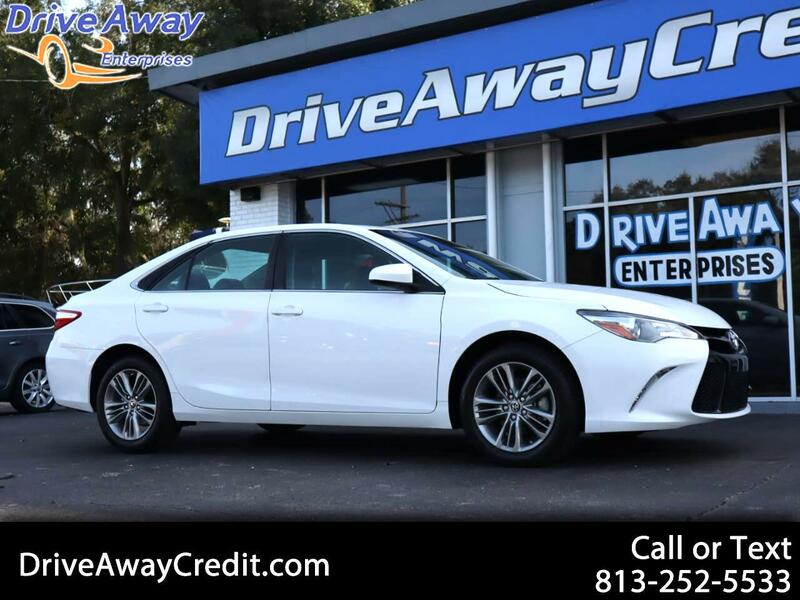 Elevate your style and inject more fun into everyday with our 2016 Toyota Camry Special Edition in White! This is an absolute show-stopper; sporting bold sophistication and innovative design! A 2.5 Liter 4 Cylinder pairs with a responsive 6 Speed Automatic transmission and rewards you with impressive acceleration and nearly 35mpg on the open road. Confident handling, straightforward technology, and lots of comfortable passenger space make this car an absolute delight to own! Every swoop and curve of our Camry Special Edition has been masterfully crafted for optimal aerodynamics. Check out the sport mesh front grille, LED headlights, striking wheels, and dual chrome-tipped exhaust! The ergonomically designed interior features comfort tailored to you with SofTex trimmed seats and dual-zone automatic climate control. Stay seamlessly connected via an Entune Audio touchscreen with Bluetooth, and a 6-speaker sound system with steering wheel mounted controls. You'll also appreciate remote keyless entry, cruise control, a rearview camera, a tilt-and-telescoping steering wheel, and split-folding rear seats.